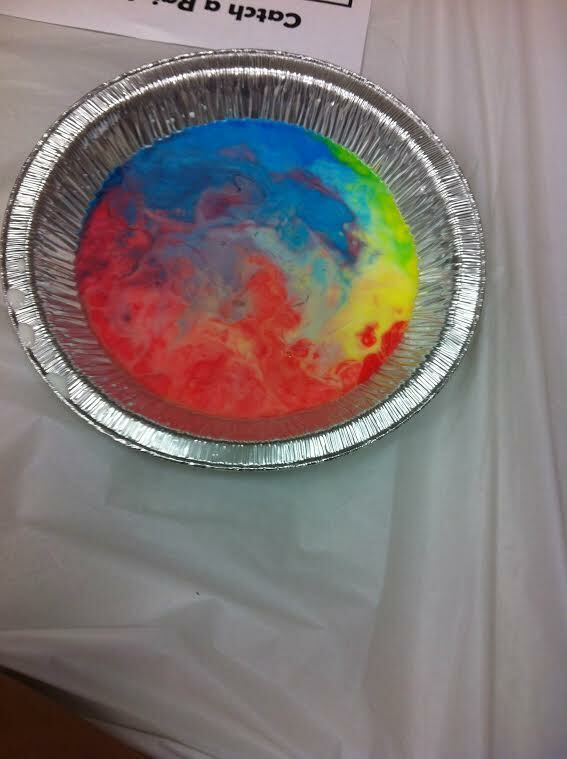 Red, Yellow, and Blue food colouring placed in milk. 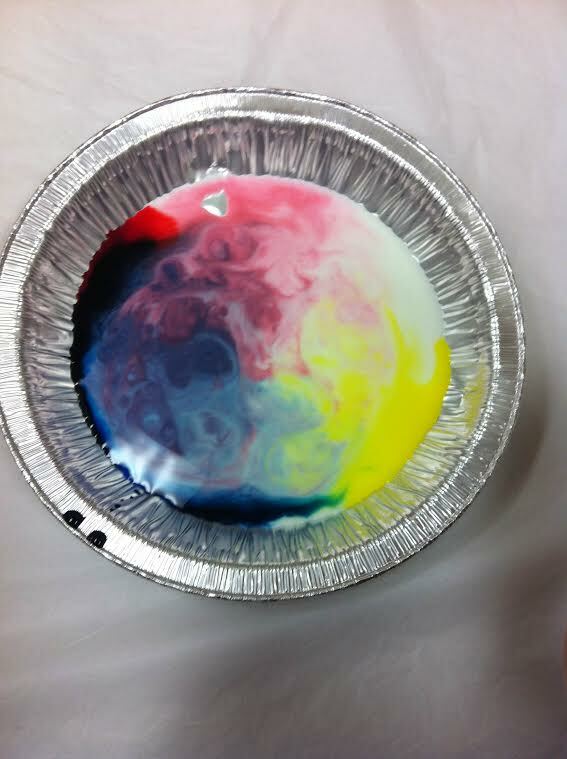 Add dish soap and the colours mix together! Kids’ Club was a program that I used to run at Windsor Public Library. It was too much fun for the kids and required little pre-planning on my part (….sometimes planned the day before). It followed the same format: read a chapter from a book, followed by an activity. You don’t have to advertise what the activity is either. Sometimes it’s hard to plan 4 months in advance – especially when you pin some great ideas on Pinterest. It’s great that you only have to advertise it as “kids’ Club” rather than individual programs. For the Summer Reading Club programs, I choose Gooney Bird Greene as the chapter book that we read. In other years, I’ve done Wayside Stories. Both stories are great because each chapter is sort of an individual story. So, if kids miss a day, they’re not missing the entire story. Today, we did Ooey Gooey Science. It’s a program that my colleague ran before and the kids just were wide eyed. I did four experiments with them. It took about an hour to read + do the experiments. I made enough Playdough to give them some to take home in a little baggy. I also gave them a take-away sheet of all the experiments that we did that day. 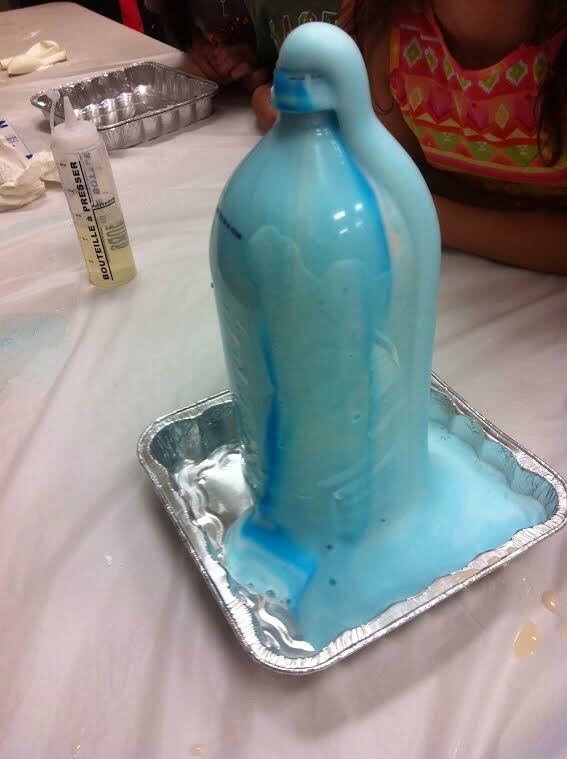 Mix in hydrogen peroxide, dish soap, and food colouring into the bottle. Mix in warm water and yeast. Pour it in to the bottle, and watch it explode!